Large, well known, multi-channel retailer seeks a Paid Search/Affiliates Performance Media Specialist. Must have paid search and affiliates background. This role will be responsible for all media: paid search, social, brand media, advertising, etc). We are looking for a Performance Media Analyst to add to this growing, digital marketing team. This role will be responsible for supporting the company' s growing Performance Media programs – with a focus on Affiliates program management, as well as Paid Search, Shopping, and Display, working to drive qualified traffic to the website, acquire new customers, and achieve sales goals. 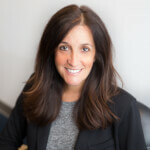 Executive recruiting in the marketing industry since 1999, Rachel specializes in the recruitment of direct/database/digital/analytical/CRM/e-commerce marketing professionals nationwide. In her previous role as managing director, Rachel built a team of three recruiters to meet the demands of her thriving clientele. Rachel has placed hundreds of marketing professionals across the country in major corporations, retailers, e-tailers, agencies, suppliers, consulting firms and startup companies, ranging from C-Level to individual contributors. Rachel has also worked in marketing management account services at UPSHOT (clients included: Coca-Cola Brands, Jim Beam Brands, Procter & Gamble and Sony Electronics) and BBDO Atlanta (client: Delta Airlines). Rachel holds a B.A. in journalism from The Ohio State University. Fun facts: Loves to travel, hike and proud mom of two!